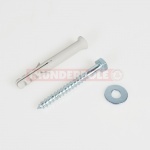 M8 zinc plated coach screw (AKA mungo bolt) with wall plug. 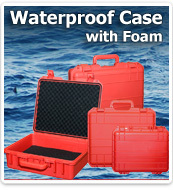 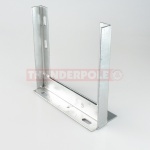 Ideal for attaching T&K brackets or stand off brackets to a wall. 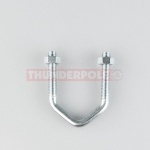 1 3/4 Inch U Bolts for attaching poles, brackets and antennas together. 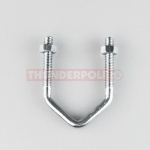 2 inch U Bolts for attaching poles, brackets and antennas together. 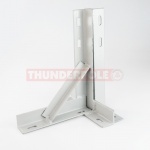 Stand Off Wall Bracket | 9"
9" Stand off wall bracket for attaching antennas to buildings. 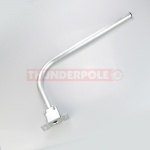 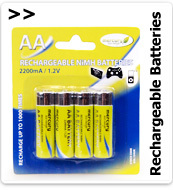 Suitable for smaller antennas where T & K brackets cannot be used. 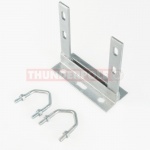 Stand Off Wall Bracket with 2x V-Bolts | 6"
6" Stand off wall bracket for attaching antennas to buildings. 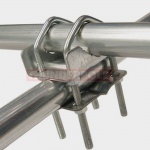 Double pole to pole clamp, designed to securely attach two poles together, either at 90 degrees or in the same direction. 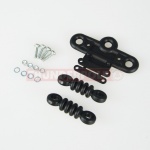 Dipole centre and 2 moulded ribbed dog bone insulators plus fittings. 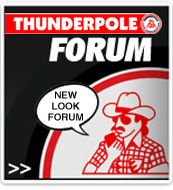 Dipole centre for 2x 3/8 thread mobile whips. 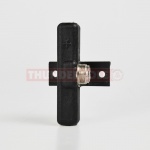 T and K brackets for attaching a base station antenna to a wall. 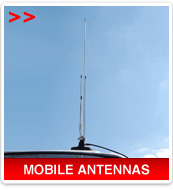 1.5m Interlocking heavy duty swaged mast system. 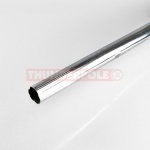 The design enables up to 4 mast sections to be locked together.